“Green Room” tells the story of a hapless traveling punk-band, literally running on fumes, from one gig to the next, trying to scrape enough pay together to keep the wheels of their home-of-a-van rolling. The acting performances of Alia Shawkat, Anton Yelchin, Callum Turner, Imogen Poots, and Joe Cole make the audience care and enjoy the band as people before Saulnier throws them into a terrible situation. 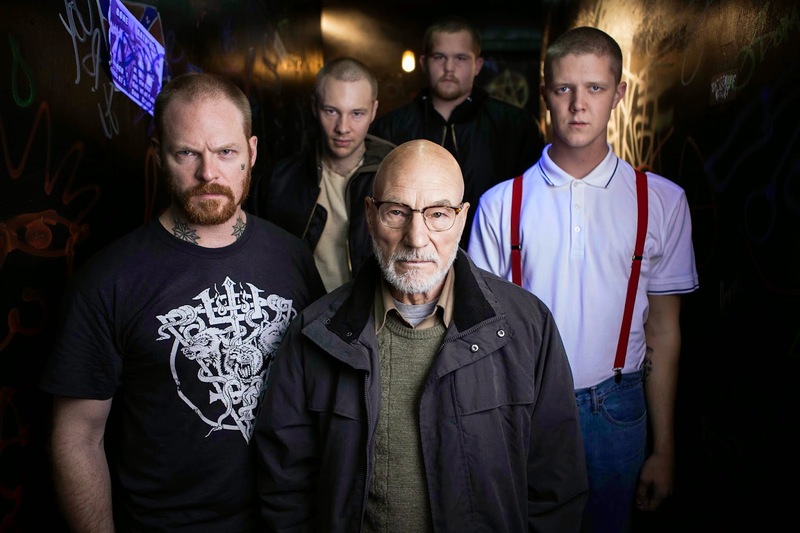 Playing a gig at a neo-Nazi club in order to earn enough money so that they are not stranded in the Virginia wilderness, the band witnesses a violent crime and, in turn, find themselves trapped by a sinister Patrick Stewart who cannot let them escape, knowing what they know. This is an intense and realistically violent movie. That being said, the violence always felt grounded in humanity and never gratuitous. 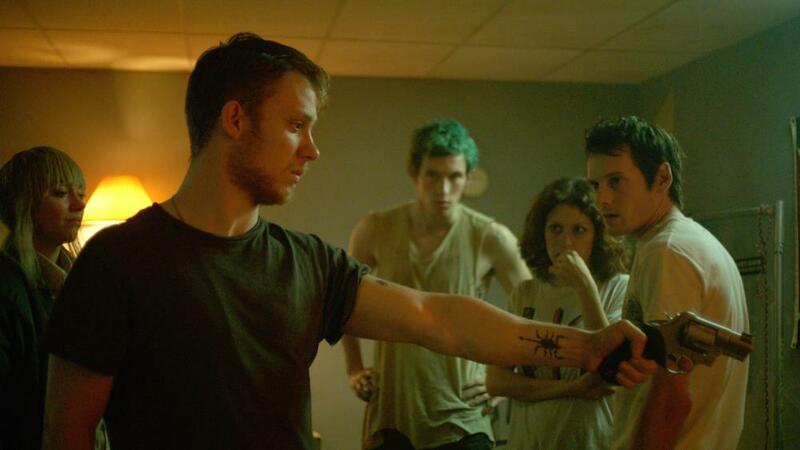 The characters of “Green Room” feel like well-rounded, real people (even the skinheads surprisingly enough), and as such the audience feels every injury and saddens with every loss. This is not a white-hat, black-hat slasher movie. This is a classy war movie about two opposing forces, both fighting for survival. I would like to focus, for a moment, on the acting performance of Macon Blair. Blair was brilliant in “Blue Ruin,” but I had a hard time casting him, in my head, as a skinhead neo-Nazi. That was before I watched “Green Room.” He brought realism and layers of humanity to a character that is easily prejudged to be one dimensional and obviously pure evil. Macon Blair is a powerful asset to the complexities of this film. The technical considerations of this film where handled masterfully. Sound, light, cinematography, special effects where all beautifully done, and helped to create a world, which simultaneously felt, so real and so foreign. I highly recommend seeing “Green Room” at your earliest opportunity. This entry was posted on Wednesday, September 30th, 2015 at 12:51 pm	and is filed under Film, News. You can follow any responses to this entry through the RSS 2.0 feed. You can skip to the end and leave a response. Pinging is currently not allowed. « Film Review: ‘The Walk’! !